President Trump took a victory lap on Capitol Hill Tuesday, emboldened by the end of the special counsel's Russia probe, even as Democrats demanded the release of Robert Mueller's full report and intensified their focus on health care and other policy disputes. 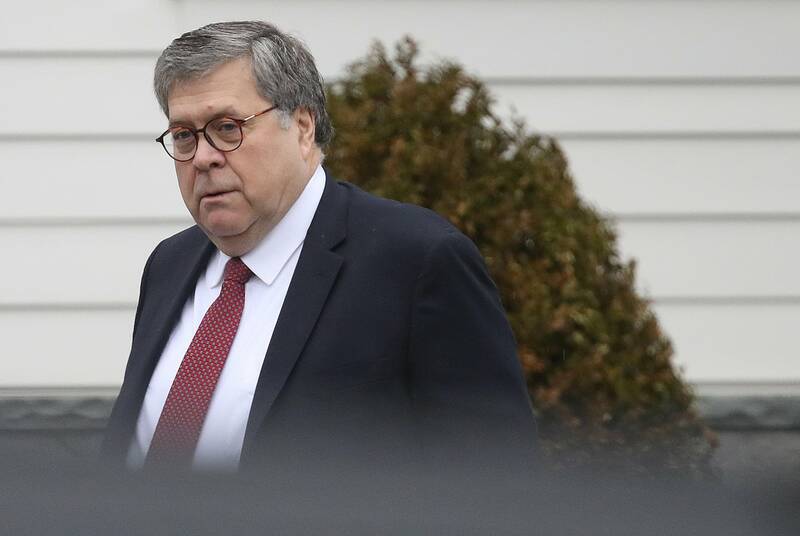 A Justice Department official said it will take Attorney General William Barr "weeks, not months" to finish reviewing Mueller's Trump-Russia investigation report and make a version available for the public. It's not clear how much of what is made public will be in Mueller's own words and taken from his underlying report and how much might reflect Barr's summary or synthesis of the special counsel's findings. The official spoke on condition of anonymity Tuesday to discuss the Justice Department's planning. Radiating a sense of vindication, Trump strode into the Senate Republicans' lunch flanked by party leaders. GOP senators applauded. "It could not have been better," Trump said of the summary of the Mueller report by Attorney General William Barr, which did not find the president colluded with Russia over the 2016 elections. He told senators he was given a "clean bill of health," according to those in the room. But Trump cut short the celebration by quickly turning senators focus on the challenges ahead, claiming, "The Republican Party will soon be known as the party of health care. You watch!" Inside the meeting, he urged Republicans to figure out a way to repeal President Barack Obama's signature health care law and replace it with a GOP version, a major Trump goal that has eluded the party during the first years of his presidency. "I was a little surprised he came out of the chute in health care," said Sen. John Kennedy, R-La., after the meeting "He wants us to try again." "He's in a very good mood. He's in a good form," said Sen. Kevin Cramer, R-N.D. "He's always high energy. He had a little extra today." Trump's trip to Capitol Hill came right after his administration said late Monday it would not defend the Affordable Care Act in a court challenge -- and as the House Democrats, led by Pelosi, were unveiling a sweeping measure to rescue the program, also known as "Obamacare." At her own closed-door caucus meeting Tuesday, Pelosi urged rank-and-file Democrats to "be calm" and focus on policy promises that helped propel them to the House majority last fall. That means advocating for a robust policy agenda to improve health care and pay while conducting the oversight of the Trump administration many voters want. Obama advised the newly elected lawmakers to listen to constituents -- and also identify issues they feel so strongly about that they'd be willing to lose their House seats in fights over them, according to multiple people at the private party. Attorney General Barr's summary said the special counsel's probe didn't find collusion between the Trump campaign and the Russian government to tilt the 2016 presidential election. Mueller did not determine whether Trump obstructed justice in the investigation, but Barr and his team said no prosecution was warranted.